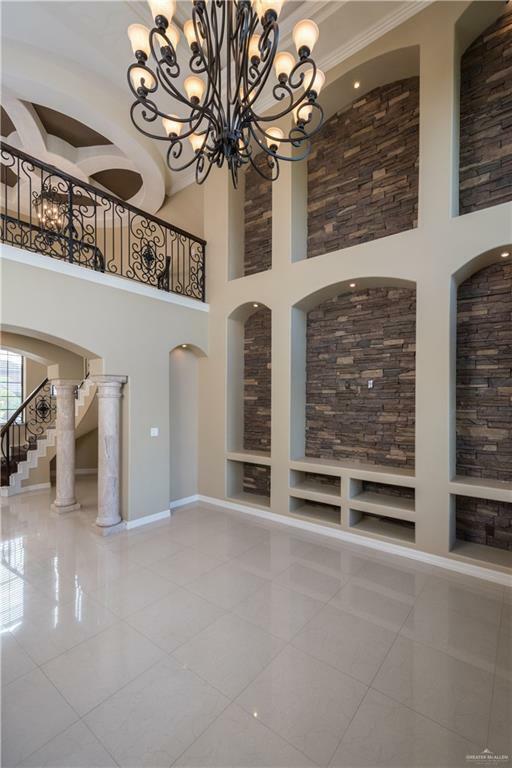 Details and Prestige is what this home is all about! This home is full of extras that make it a great home for entertaining. A large game room, office, and theater room make it perfect for everyone in the home to find their space. The kitchen layout is perfect for hosting a family get together around the holidays. With open views to both the large breakfast area and the oversize living room, this for easy conversation while preparing family meals. 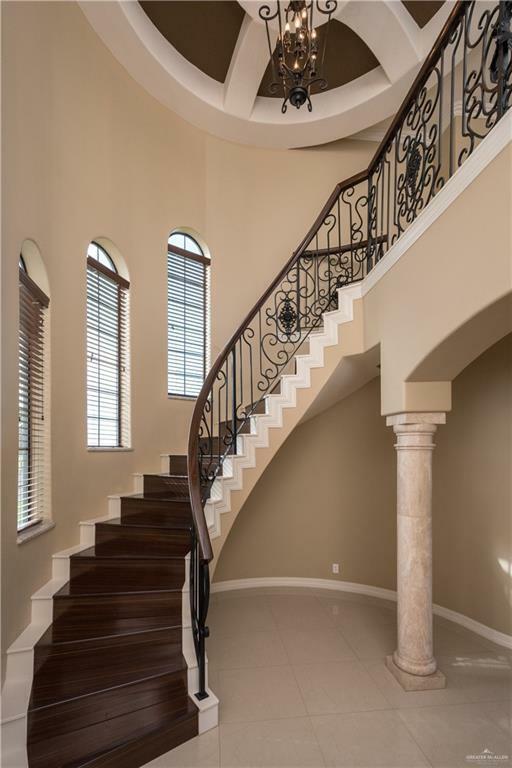 The custom staircase leads past all the eye-catching details of the exceptional light fixtures and custom accent rock wall as you make your way to the bedrooms. No monies were spared in the making of this home. The views off the back porch to the lake make for a relaxing atmosphere as you BBQ into the evenings. 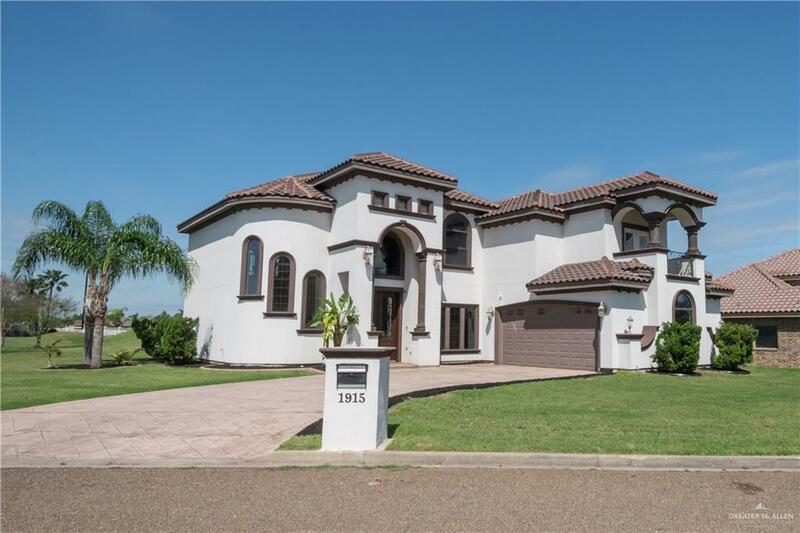 Come take a tour of this beautiful home that sits in one of the Rio Grande Valley's finest golf courses. This home is ready to impress from the second you arrive. Listing by Nick Cantu of Jinks Realty.